you know that feeling... of the sand between your toes? ahhh, where do I even begin?!? This is what happens when you get a couple who's laughing with each other before you even start shooting. They were worried they'd be awkward... I don't think they could have been more wrong! I also don't think I've ever lost track of time so quickly like I did on this shoot. The first thing I asked them to do was lie down, in the grass and cuddle up. I could tell they both did a little double take but they went with it. This was maybe 10 minutes after I had met them for the first time face to face. They were on board from the moment I showed them the back of my camera a few seconds later. This is why I love what I do, I get to be a third wheel in the best way possible, I get to make you feel like we aren't even shooting and at the end of it all, I get to show you the beautiful moments we captured together. These two made it all too easy. 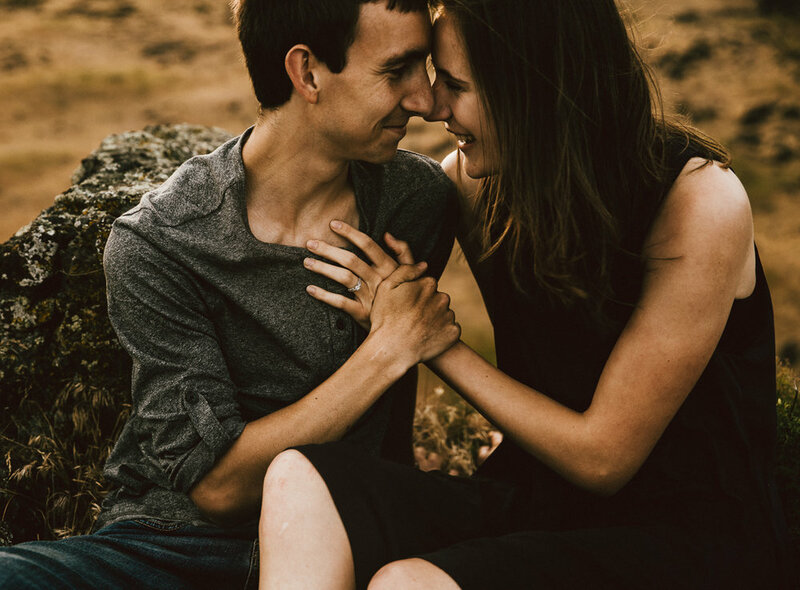 I am so flippin' giddy to share their wedding day with them. Ahhhhh! As we headed back I noticed the moon was out and I had to get a shot of Amanda cuddled up in Austin's arms. She dug her toes into the sand, you know that feeling right? The feeling when the sand parts between your toes... it's the best (if you don't like it, sorry NOT sorry). Yeah that feeling was this whole shoot. I couldn't be happier for these two! Sign up with your email address to be the first to receive new blog posts, discounts, and updates. I respect your privacy. No spam here! 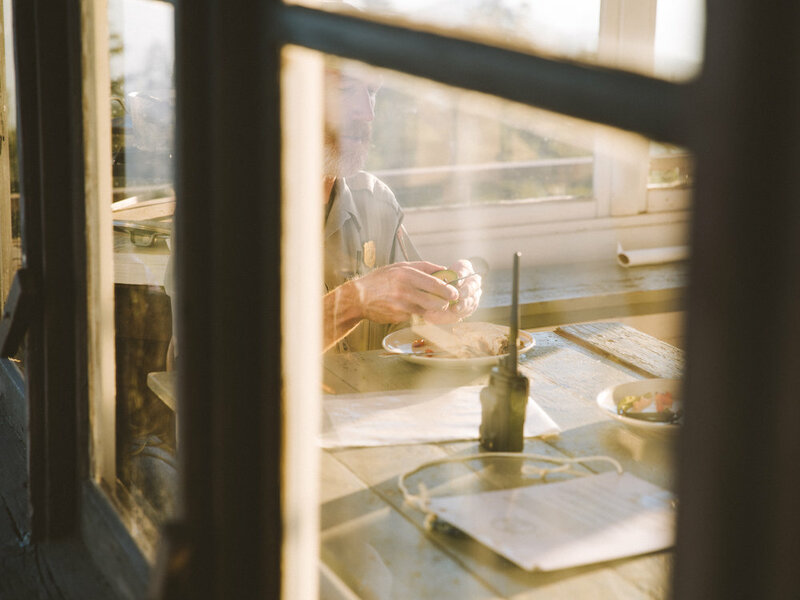 If these images spoke to you I'd absolutely love to capture special moments with you. 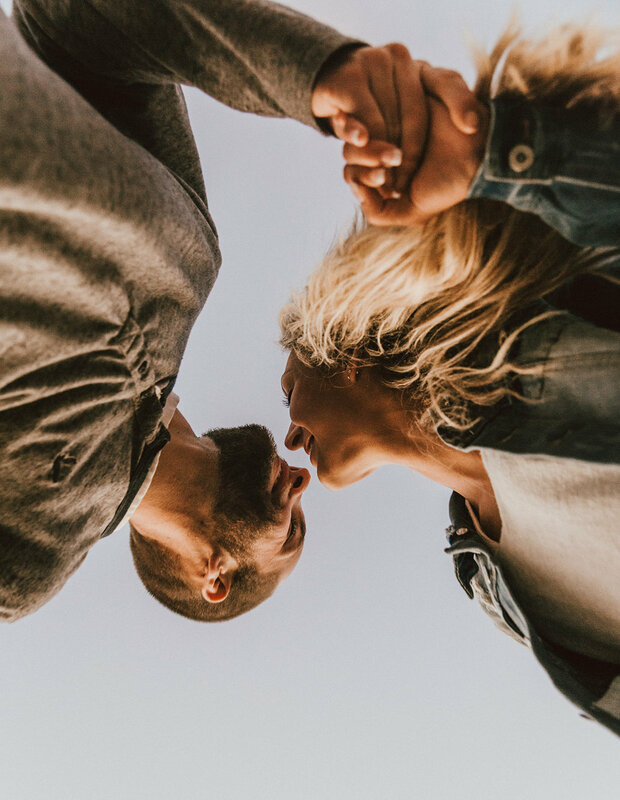 Whether it be of you and your sweetheart or your family, I'd love to play a part in capturing your memories. I have a few openings for weddings, engagements, couples and family sessions in the remaining months of 2018. Happy to talk 2019 bookings as well. I'd love to hear from you! 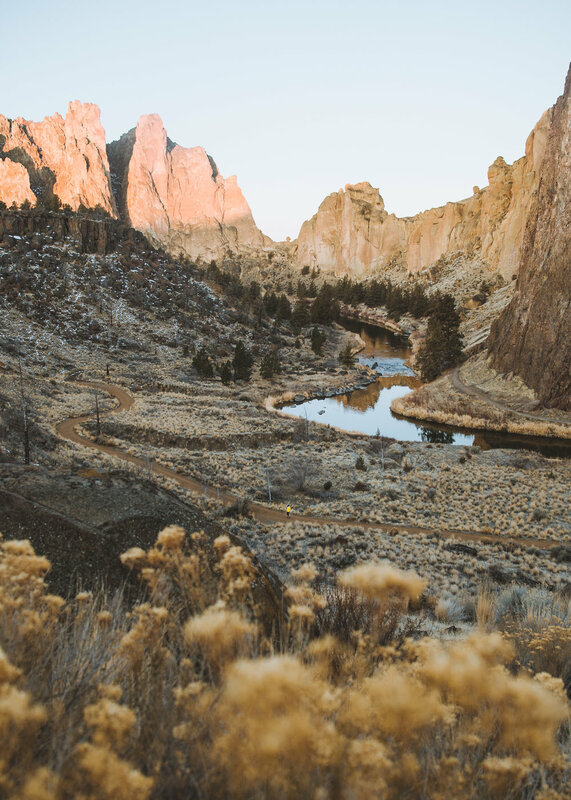 Central Oregon offers diverse scenery from the high desert of Smith Rock State Park to the lakes, mountains and lush forests along the Cascade Lakes Highway and Santiam Pass. 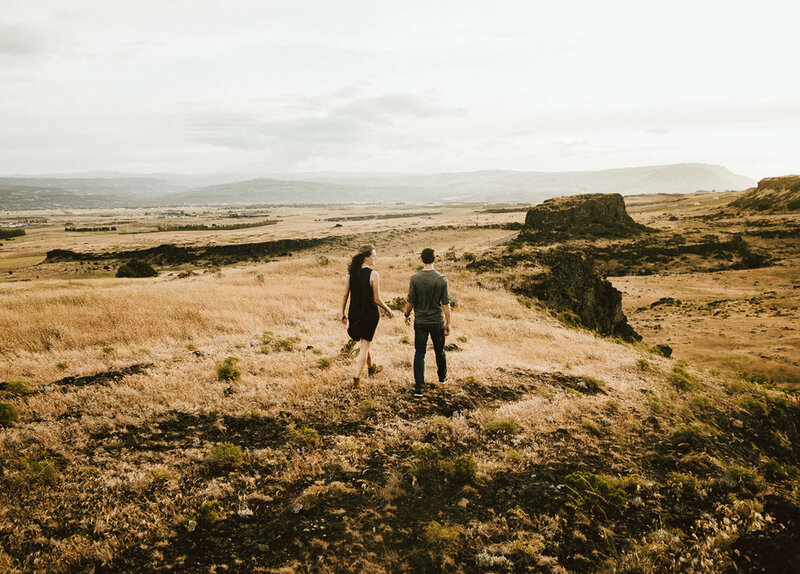 I’ve teamed up with Firestone Complete Auto Care to bring you a summer travel itinerary from of our recent road trip to Bend, Oregon including a few locations visited, and a few of our favorite locations that we couldn’t help but include. We also included a few activities for families with kiddos as well as some eateries in the area that we particularly enjoy. 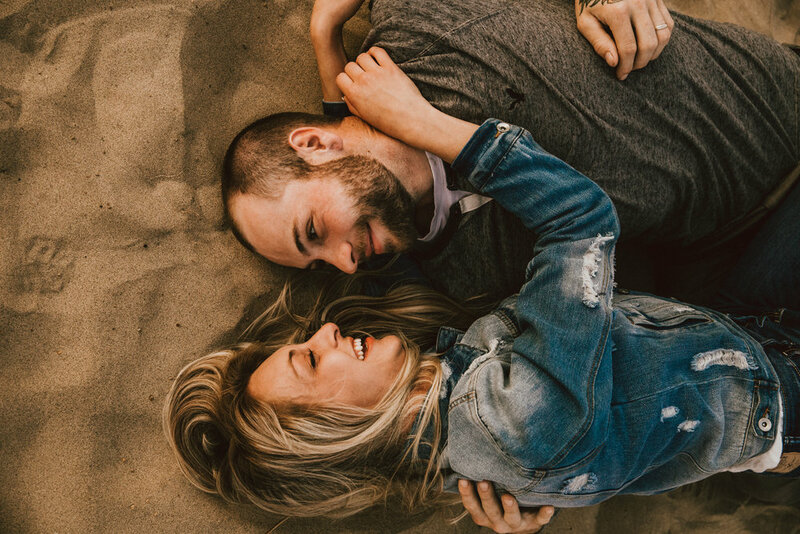 This itinerary is perfect for anyone who wants to get away for just a weekend or it can be added as part of a longer Oregon road trip as well. It includes locations that are great for families who are just starting to go on adventures with their kiddos, or whose kids aren’t up for a longer car/tent camping road trip yet! If you’re preparing for an upcoming road trip be sure to download a Firestone Complete Auto Care coupon via their website! Day one, we picked up the kiddo and headed south to connect with Highway 22 from Salem, Oregon. It’s my personal favorite route as the greenery along the way is absolutely stunning. It connects up with Highway 20 through Sisters and then onto Bend. You can also take a side detour down Highway 126 at the junction of Highway 22 / Highway 20 heading south to Sahalie and Koosah Falls. It adds a bit of time but is a worthy pit stop on the way out if you leave for Bend earlier in the day. This trip we didn’t have as much time, but we make a pit stop at Suttle Lake for both the kiddo and us. We’re all happier when we make a stop or two along the way to stretch, snack, etc. We made a mental note to come back, as there are some wonderful cabins/camping areas at the lake that seem like a perfect little getaway. We then continued onto Bend and our friend’s house. It was easier to stay in town for this trip particular as I had too much gear for us to put the seats down and car camp, and the weather forecast was looking a bit iffy for tent camping on Saturday (it ended up snowing in the area we would have been tent camping on Saturday morning). We try to tent or car camp whenever we can though as the kiddo loves it sooooo much! I love a cozy cabin or hotel as much as the next family with kiddos, but just being outside with the fresh air and that wonderful campfire smell is hard to beat. Southeast from Portland – take I84 east to connect with Highway 26 through the Mount Hood National Forest. Stops to consider along the way include Mirror and Trillium Lakes, which are both quite accessible (a northwest forest pass and or $5/day fee is required at the Mirror Lake trailhead). Northeast from Eugene – take Highway 126 to connect with Highway 20 through Sisters. Stops include Sahalie and Koosah falls, or Proxy falls depending on the time of year. 4 am, bright and early I was up and in the car headed to Sparks Lake. Bailey and the babes slept in for this one so I went solo to meet up with some friends. It was quite refreshing, getting away for a couple hours with just my thoughts. I highly recommend that if you are going on a road trip with your significant other, or your kids, that each of you takes a morning or evening on one of the days to have some alone time. 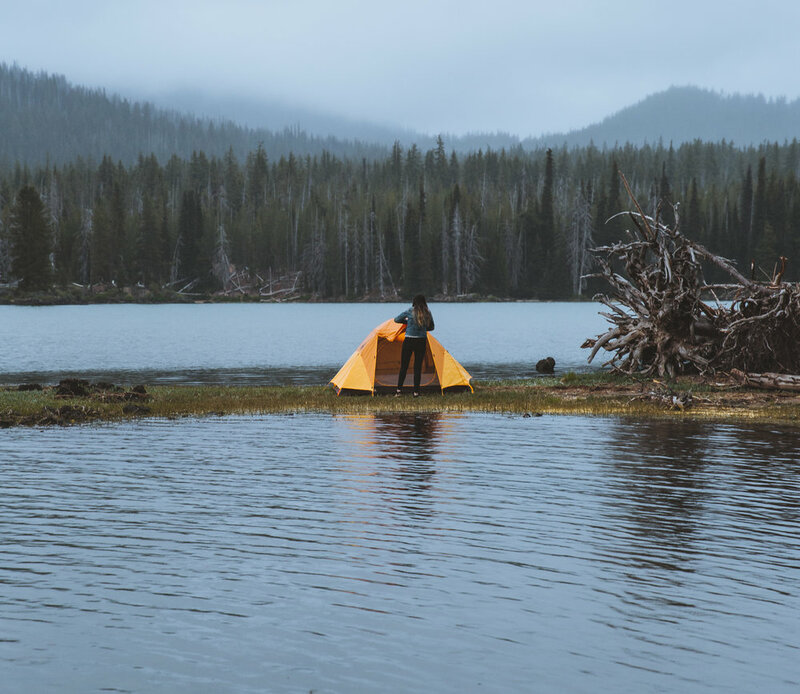 Understandably if you’re taking your kids and they need hands-on attention throughout the day, that time may be more limited… but if you are camping one of you can sneak out for sunrise one morning before the kids wake up and the other can get some time the next morning. If you can make it happen, do! Although we didn’t camp on this particular trip, it wouldn’t feel right to leave out a mention of camping at Sparks Lake. It’s a first come campground with spots for both tent and car/RV camping and if you can get a spot it's more than worth it. Our little one absolutely LOVES to go camping, no matter the location, and being by the lake makes it that much better. Not to mention the views of South Sister, Mt. Bachelor, and Broken top are stunning. I quickly got the tummy rumbles and headed back to the place we were staying in town to grab Bailey and the kiddo and then we headed to Rockin’ Daves for breakfast! The rest of the afternoon we spent exploring around Bend, visited a few local parks and headed down to the old Mill district for a little window-shopping and some ice cream. Side note, if you’re road tripping and you’ll be in town for part of the time (with kiddos), definitely stop by some parks. It will help get some energy out, keep them happy, and will make them enjoy the time out in nature all that much more. Our personal favorite is Blakey Park. Lunch option: Pizza Mondo, easily one of the best by the slice pizza places in Oregon that also offers vegan options! We didn’t make it there this trip, but it’s rare for us to visit Bend without eating a slice at Mondo. We wrapped up the day picnic style heading back out to Sparks Lake with the whole gang. We invited a friend of Bailey’s along with her four-year-old daughter. The kiddos had SOOO much fun together. If you can connect with fellow parents (if you’ve got kids), locals or just fellow creatives you should definitely take advantage of the opportunity! It was looking extra moody as we reached the lake but the kiddos were more than ready to explore. So we headed out to the lake to test some gear, eat a lot of fruit and throw rocks in the water. It started to pour just as we were packing up but honestly, the kids minded it the least of all of us. I think the number one thing I’ve learned from sharing the outdoors with our little one is that he doesn’t really care about the weather or a specific location. If he’s outdoors, camping, kickin’ up dirt and throwing rocks off mountains or into lakes, he’s happy. 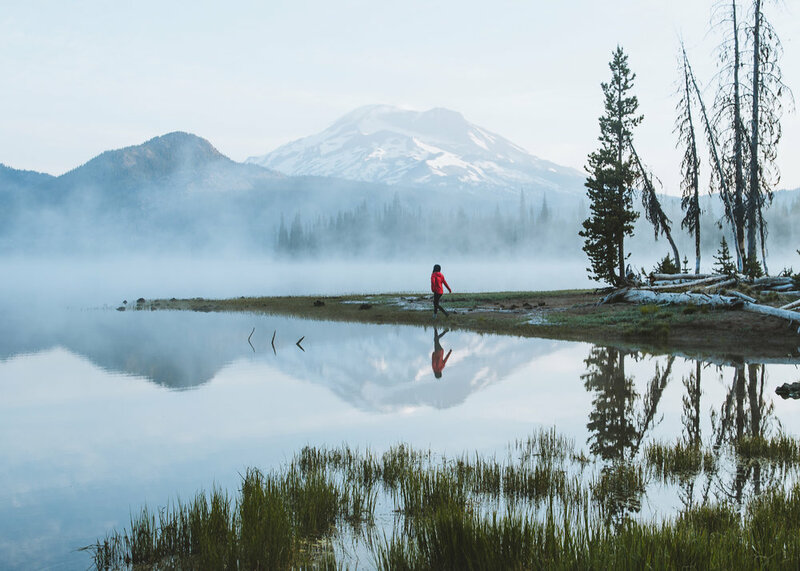 While Sparks Lake is easily one of the most popular lakes along the Cascade Lakes Highway, it is far from the only one. You’ll either need a northwest forest pass or a $5 / day pass for most if not all of the lakes along the highway, so be sure to have a couple $$$ of cash on you if you don’t have the forest pass. 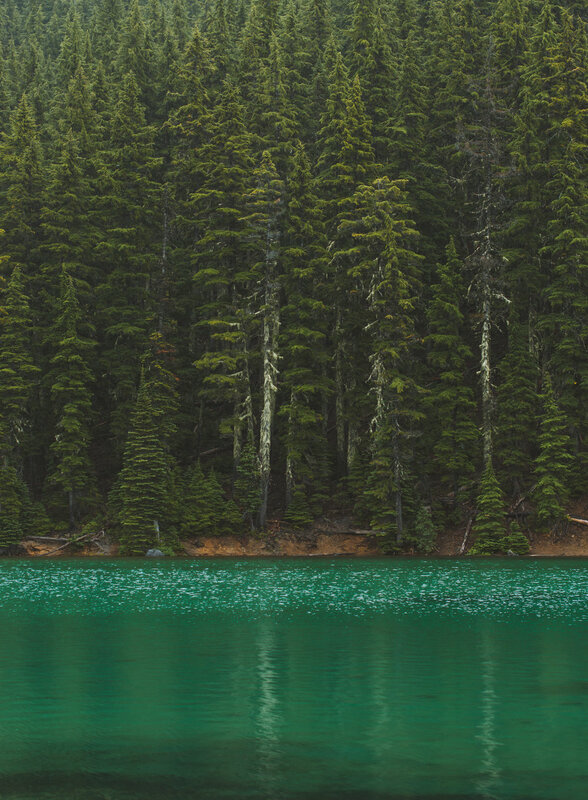 Here are a few of our other favorite lakes that are definitely worth checking out. Todd Lake – another beautiful lake with a stunning view of Mt. Bachelor when you walk around to the backside of the lake. There are some prime spots for setting up a hammock as well! Elk Lake – easily one of my favorite lakes along the highway, with some beautiful sunrise photo ops if you explore around a bit. All three of us were pretty zonked after the late night Friday, so we slept in. We got up and went to grab breakfast at Longboard Louie’s, another of our favorite breakfast places in Bend. We then relaxed for a bit before heading out to meet with some friends for a birthday party, hit another park and then drove back to Portland. Additional locations to see and food to eat! Camp at Smith Rock State Park – heading northeast from bend is Smith Rock State Park and Campground, which is another first come spot that is a must visit for the area. I've camped there every summer for the past 3 years or so, and I can honestly say you'll meet some of the friendliest, kindest, and most energetic people when you stay there. The area is beautiful with hikes ranging in difficulty as well as climbing opportunities for all ages (there are a few climbing structures near the camping area for the little ones). There is a day use and per night camping fee of $5 / day for the day use and $5 / night for camping. We’re vegan/plant-based but we still LOVE fast food, and since there is no veggie grill in Bend, Next Level Burger is a fantastic option to grab a quick vegan bite. They also have vegan shakes! We love pho and pretty much all types of Asian cuisine and there are some excellent vegan options on the menu as well! I hope you enjoyed this post about our recent trip to Central Oregon along with some bonus spots and tips! I think the most important thing to remember when traveling will kiddos is that there will always be something that doesn’t go as planned. Just go with the flow and focus on having fun. I will be updating this blog over the coming months, as we make additional trips to Bend, so be sure subscribe for updates or check back occasionally! If there's a spot I’ve missed that you'd like me to add or visit and review drop a comment below! If you are preparing for an upcoming road trip visit Firestone Auto Care's website to download a coupon! Being outdoors more as a child is something almost every adult wishes they had been able to experience and thus a strong desire to provide that for your own children is pretty darn common. Embrace that! Every chance you can get your kids outdoors is worth whatever crazy might follow. I think the biggest roadblock for most parents is overthinking what could go wrong, rather than being prepared and rolling with the punches. We want to help you get out there with your kiddos and tell you that it’s definitely doable! Over the past few months we geared up with Moosejaw to bring you a few of our experiences camping and hiking with our 3.5yr old, what went well and what didn’t, especially with Bailey being pregnant, and how we made the most of each experience! A little look into our madness story. They sent me a new soft shell jacket, which I’ve worn exclusively ever since (I love that damn thing). They sent Bailey a beanie, which has the softest lining ever. Most exciting of all, they sent us a Stormbreaker 3 person tent and a Sapling Child Carrier to help make the trips we had planned possible! Hopefully, you can learn from us and the tips and tricks we’ve put together along the way! I want to preface that we ended up facing an abnormal amount of hurdles and yet the kiddo still loved every single trip we went on and now constantly asks to go camping! Hopefully, our hiccups will help you know what not to do, how to prepare for the worst case scenario if you find yourself facing it, what to pack for different styles of outdoor trips and how to just enjoy every moment, whatever happens! Backpacking: the ups, the downs and what we learned! The original plan was to make our first trial run with the gear provided by Moosejaw a backpacking trip. I’ve wanted to backpack for years and years and being able to share that with Bailey and Michael got me so excited! We were geared out with our new child carrier and 3-person backpacking tent… it was us against the wilderness! Everything worked out except for one minor or two minor hitches. The first was Bailey’s second pregnancy has been quite a lot different than her first. 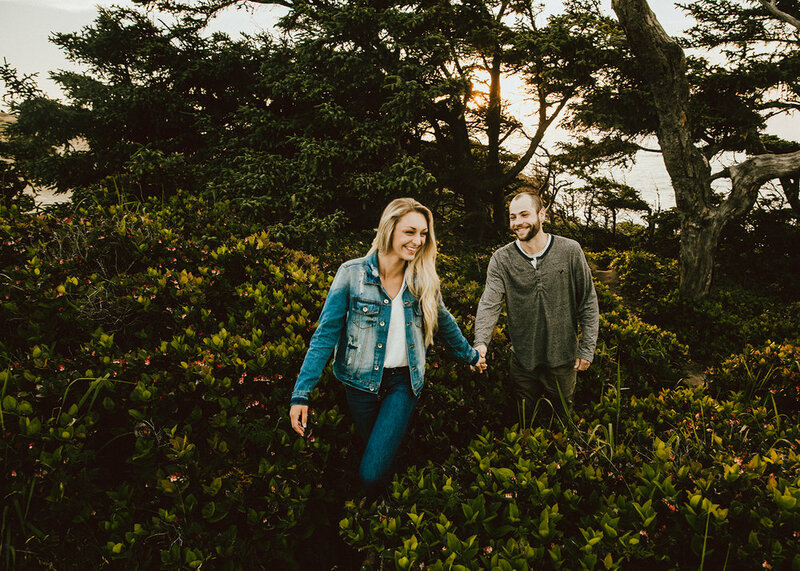 In her first pregnancy she was able to be incredibly active throughout the entirety of her pregnancy; however, a few weeks before we headed out on our first attempt of a backpacking trip Bailey started to get some low back pain. This is definitely something to keep in mind if you or your partner is pregnant but you still want to get outdoors. 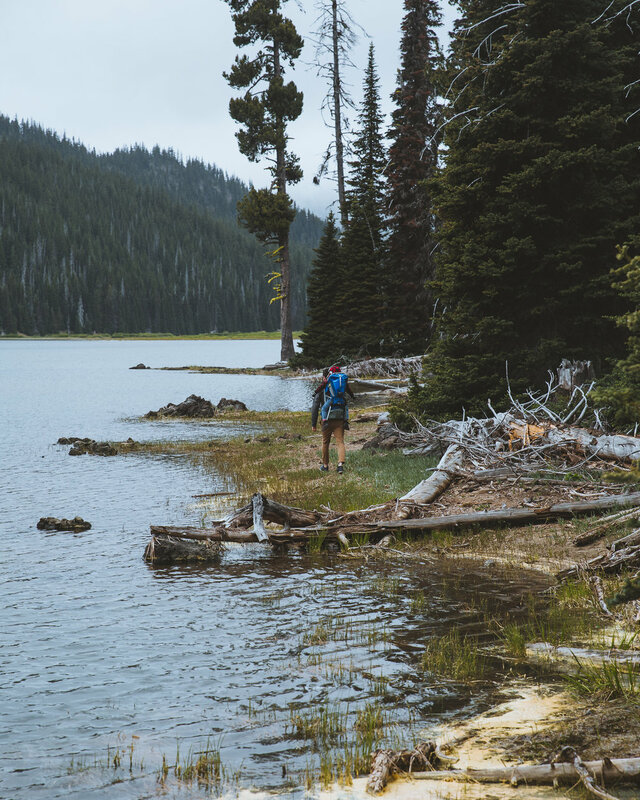 If there’s any back pain involved or you’ve been recommended to stick to low-intensity activities, car or tent camp somewhere you can easily reach by walking. There’s absolutely no shame in this, and your kiddo will still love you for getting them outdoors! We initially thought we could still do the 3.5-mile round trip hike, breaking the hike up into quarter-mile stretches so that Michael could walk a fair bit, and only be on Bailey’s back in the carrier when absolutely necessary. We thought we’d camp for one night and then slowly make our way back down the next morning. I would carry the backpacking pack with our tent, sleeping bags, pads, stove, food, etc as it was a good 10-12lbs heavier than Michael in the carrier. In theory, it would have worked great! The Sapling carrier worked perfectly, holding Michael (42lbs), 3 liters of water, and all of our snacks quite comfortably and the backpack carrying the rest. Unfortunately, it wasn’t meant to be. The trail we picked was out in the Willamette National Forest near Detroit, Oregon and was steeper than I had remembered. We got everything packed up and our packs on and at first we thought things would work out great! We hit the trail and all the gear was comfortable, Michael was having a blast - especially when he figured out how to get water out of the camelback. It seemed like we’d be able to make it! About a quarter of a mile in it became clear that even the child carrier pack would be too much for Bailey, so we stopped. We talked it out and decided that I would try to hike one pack up to the camping spot and then come back for Michael and the other pack and we could make it up that way since Bailey wasn’t in any pain when walking without a pack on. So while Bailey and Michael hung back I continued up the trail. I hiked the next three-quarters of a mile up the trail before hitting snow. I had called the ranger station nearby the day before and had been told there shouldn’t be snow, so it was definitely a surprise. Snow added a major hitch because it wouldn’t have been safe to take Michael any further as we weren’t prepared with any snow gear and the few flat camp spots we would have chosen from had snowbanks covering them. Even if Bailey’s back hadn’t started flaring up, we still would have had to bail. I turned around, admittedly frustrated and headed back down the trail. We were both definitely a bit on edge. Everything we had control of and had prepared for was working great, but just a few things out of our control had thrown everything off kilter. We still had everything we needed to turn the trip around; we just had to think quickly. Taking the situation in stride we headed back to our car and drove up toward Olallie Lake and found a small-secluded camp spot along the river. Michael ran around and had a blast as we got the water boiling for dinner. Tip: make sure you remove the dehydration pack from your backpacking food. I know it sounds obvious, but we missed the pack in one of our meals, thinking we had removed it and had to ditch that meal. We wrapped up the night snacking on trail mix and watching a movie we had downloaded onto Bailey’s phone in our tent. The Stormbreak 3 person tent is perfect for us. It takes me less than 10 minutes on my own to get it set up from the bag to hammering in the last stake in the rain fly and less than 5 minutes with two people. The two additional poles that pop out the sides give us so much room, and we’ll easily be able to fit all four of us once the baby arrives! We learned that all of our gear worked perfectly! That as long as we took a second to breathe, we could roll with the punches and that no matter what went “wrong” the simple fact that we were outdoors and camping made for one happy kiddo! Lastly, sans hiccups, a 3-6 mile round trip backpacking venture is DEFINITELY doable with 1-2 kids, or even while you’re pregnant, if you aren’t in any pain and being active is working for you during your pregnancy. We knew we had to tone things back a bit for us for the time being but all said and done we were pretty happy with our experience on the trip and how much we had learned as far as how to prepare for future trips! Lastly, I can honestly say that the Sapling child carrier is a must-have for any family that wants to get out with their kiddo! It’s comfortable, can carry up to 48lbs and has plenty of storage. Going from carrying Michael on my shoulders when he got tired, to having him in the Sapling is night and day. Photographer Tip: remove your batteries from your camera when backpacking, or use an actual camera insert, or both! I had my camera snugly secured within the folds of one of our sleeping bags (accessible through the bottom flap of the pack), and the power switch got flipped on during the hike. The end result was a dead battery and no photos from the trip. We decide to rule out backpacking, for the time being, as another attempt with Bailey’s back in the condition it was in (at this point we had her in to see a chiropractor) wasn’t a good idea, at all. We looked up a cute camp spot out in the Tillamook Forest, loaded up the car and headed out. Honestly, this trip was super fun, super low key and laid back. We got to the camp spot with plenty of time, set up camp and got a fire going. We even got the hammock set up which Michael absolutely LOVED. We roasted dogs and made s’mores and enjoyed the spacious pillow fort we made inside our tent. Even this simple trip taught us a few things to prepare for while outdoors with the kiddo, the biggest being allergies. This may not apply to you or your kiddo, but this summer Michael has started to develop some pretty serious allergies. It’s been to the point where we were giving him Zyrtec daily with the occasional chewable Benadryl if he’s really uncomfortable (we have both of these included in our two little first aid kits, which we have one of in our car and one in our pack). I think the scariest thing was waking up in the morning, and before we could give Michael his medicine for the day he started coughing, uncontrollably. To him, it feels like he can’t breathe, which only causes him to cough more and all we could do was console him and have him drink water. We’ve now added Zarbee’s kid's cough medicine to our first aid kit for any mornings like this and so far it’s definitely helped! Pull-ups: the second piece we learned is to bring pull-ups! Obviously if your kiddo is still actively wearing diapers or pull-ups to bed you’d bring them on your trip, but its definitely not a bad idea to bring a few if your child is not quite at that stage were they can wake themselves up EVERY time they have to go to the bathroom on any given night. The additional factor of them not being familiar with their surroundings when they wake up can easily cause an accident. Accidents really aren’t the end of the world as far as clean up goes, especially if you bring wipes, which are pretty much number one priority besides food and water if you’re outdoors with your kiddo. However, you still don’t want to end up with a soaked sleeping bag or pad on a two(+) night trip, or even a one night trip! It’s always better to be a little over prepared than underprepared, regretting the decision not to bring something. Photographer Tip: since I still needed photos I was hoping to get them on this outing; however, the light was AWFUL. I was stressed, as I had already been delayed by the previous trip falling through and I had a deadline to meet. The biggest piece of advice I can give any photographer with a kiddo who is trying to work on a project that involves their family is to be 100% prepared that you may not get photos. That’s okay. Forget about stressing out and focus on your family and just enjoy the moment. You can plan another trip and most clients are understanding if things go wrong and you update them quickly with a plan for how and when you’ll attempt a reshoot. Lakeside hangout: bringing along the whole gang! Our last trip we made was mostly to have fun and to nail down some images for the blog. We noticed that it would be overcast at Spark’s lake one evening while we were out in Bend, so we invited our friend Brennon and a friend of Bailey’s and her 4yr old daughter and headed out to the lake! We tested out the gear a bit more, having the kiddo in the backpack on the hike out. We let the kiddos run around, toss rocks in the water and have fun, while the adults got the tent set up for shelter and boiled some hot water for cocoa in our Jetboil Micromo stove. It began to pour just as we were about to serve the cocoa, so we quickly packed up and dashed back to our car. Even this simple little venture brought the kiddos so much joy, especially as we shouted “follow that trail!” from the road to el dorado all the way back to the parking lot. We’ve yet to have a trip without a hiccup of some sort, and yet I don’t think a single one of the trips was unsuccessful. We’ve learned so much as far as what to bring with us on the next trip and Michael has had fun every time we’ve gone out! In the end getting out with a kiddo, despite taking different and definitely extra prep, is really no different than getting out as an adult. If you love doing it, no matter what happens, you’ll have fun! I wanted to pull together a few different packing lists depending on what camping scenario is easiest for your family to start, although, honestly every single one of these options will make for some great adventures! 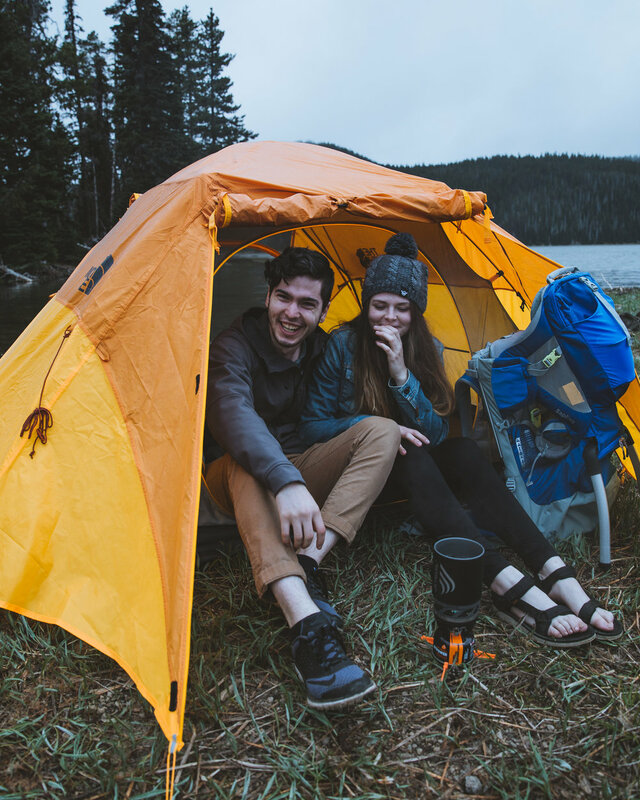 The quantities of items can be adjusted depending on your family size and the number of nights you’ll be camping or on the road! 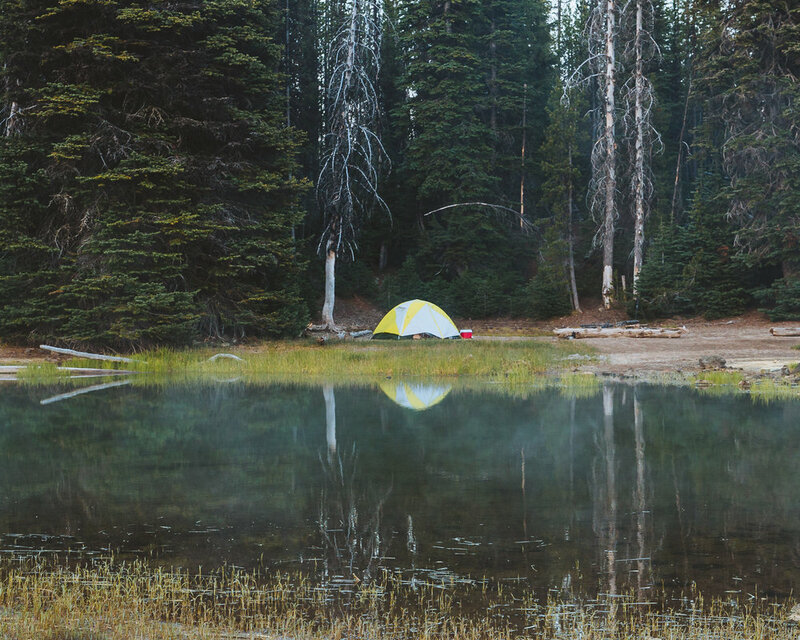 This packing list is for any road trip or scenario where you want to tent camp when the weather is good, but be able to car camp if the weather gets a little too crazy. You might want to pack more instant meals, so as to save a bit of space if you need to set up your bed in your car. This set up works perfectly for us in our Subaru Outback. Sapling Child Carrier – if you’re planning on doing any hiking with a kiddo between 1-4yrs old, this is a must! First aid kit - we have Neosporin, band-aids, Zyrtec, Zarbess cough medicine, Children's Benadryl, a 5ml syringe (makes giving a dose of both the allergy and cough medicine so much easier, and you can flush it out with water pretty easily) in our kit. This list is essentially the same as the first, but since you won’t be camping in your car you can get a bit fancier with your meals! We love to bring fixings for hot dogs, s’mores, corn on the cob, baked potatoes and over veggies, etc! Camp meals - whatever suits your fancy! This is an ideal set up for anywhere between a 1-3 night backpacking trip for you and your kiddo(s). I hope you enjoyed the blog and learned a bit from our experiences that will help you get out with your kiddos! The best advice I can give at end of the day is that your kids are going to have fun no matter what happens so stop worrying about every possible thing that could go wrong, pack up your darn car, get out there and explore! Plan ahead, have some sort of back up plan and let things go “wrong” so you can learn what you need to bring next time for your kiddos. I’ll definitely be updating this blog into a small series as we continue to adventure with Michael and especially once we establish an adventure routine with our newborn. Have questions? Thought of something I should add or want to share your own experiences? Drop a comment below, I’d love to hear from you guys! Especially if this blog helped you plan for your next trip with your kiddo, or inspired to plan your first trip! A big thanks to Moosejaw for sponsoring this post and providing the gear that made it possible! All of the opinions included in this post are 100% honest & completely my own. 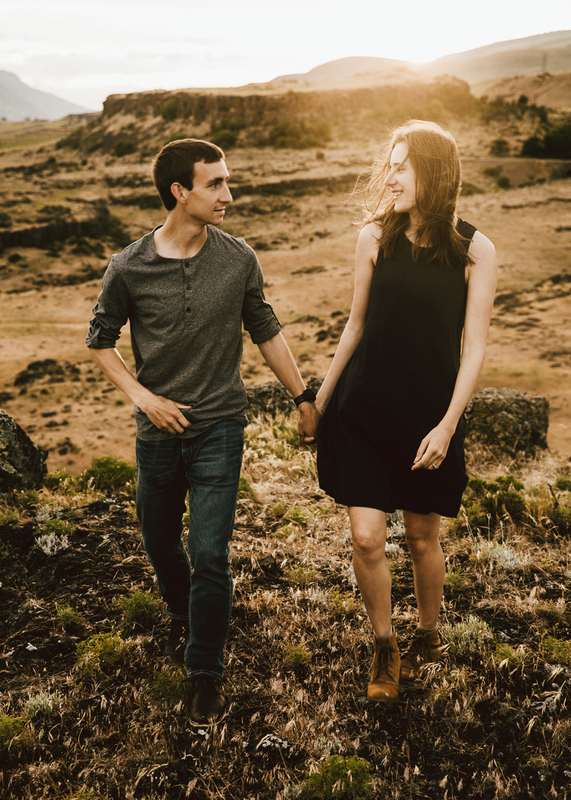 I've fallen in love with the foothills of the Columbia River Gorge the past year and sharing it with these two wonderful humans was nothing short of rejuvenating. 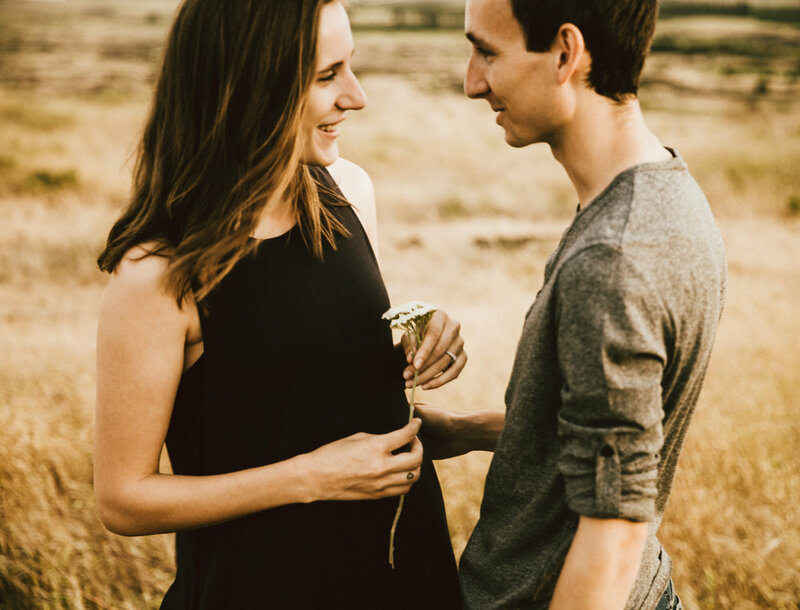 Rosa & Tj are such an inspiring pair in the way they view the world and push each other to follow their passions. We talked for a solid 2 + hours on the drive to and from where we met up before heading out to this beautiful area. It was so much fun getting to know their adventurous spirits, and especially watching as Tj began to relax into the connection he has with Rosa. It's truly a blessing being able to connect with and have people open up with you in this way, and to be able to capture it for them to treasure for many years to come, what a bonus! We ran, we laughed [a whole lot], and we let loose. The way they share a truly positive and affirming outlook on life and the ideals of their relationship and how they push each other to pursue their individual goals despite it meaning time spent apart is inspiring. I cannot be thankful enough to be able to connect with people in this way as part of the work I do; it is hard to even call it work it's so rewarding. I hope you enjoy these moments as much as we enjoyed scrambling around, getting scratched up and laughing our butts off! I have a few openings for weddings, engagements, couples and family sessions in the remaining months of 2018. I'd love to hear from you! If you know someone who is looking for a photographer or who may just enjoy the beauty within these photos, please feel free to share it with the buttons below! The support is truly appreciated! Any constructive criticism is welcome as well. Thank you! I'm incredibly excited to release this blog, which is a list of questions I've recieved from all of you over the past year or so. It seems like a fitting first blog to start up the journey of writing weekly blogs for you guys. I hope you enjoy the questions, learn a bit and if you already know it all, pass it onto someone you know who could learn from it! A. I’m still discovering this in all honesty but if I had to put it into a few short words I’m a compulsive creative, an observer (I believe my Meyers Briggs is INFP), a student, a photographer (whatever that means), a father, and the soon to be husband of Bailey, the one and only, most beautiful women I’ve ever had the pleasure of knowing. A. I am 23 years young, turning 24 in September (time freaking flies) and as best I can these days I’m taking full advantage of the fact that my young body can still drive 8+ hours in a day, sleep 2-4 hours before sunrise and with the help of a bit of coffee still manage to be decently functional throughout the rest of the day. ha. Q. What is your backstory? A. I grew up on 21 acres on land on Whidbey Island, in Washington State. I got a jump-start on my love for the outdoors running around the woods on our land, building forts etc. I moved to Salem, Oregon to study Kinesiology in 2013 and began hiking and taking photos more. Since then I’ve built the foundation of my very own small business, which I’m growing, every day. I fell in love (I know, barf), and took on a roll as a father figure, which I absolutely love! Now I get to share my experiences and stories with all of you reading this through my photos, captions and blogs and hopefully in the next year, vlogs! Q. How long have you been taking photos? A. I have been taking photos since I got a disposable film camera at about 7 or 8 years old. I then went on to have a small point and shoot when I was 12, and took up some film photography and dark room development in Highschool. I got my first DSLR camera (Nikon D3200) when I started college roughly four years ago and then one year or so ago I upgraded to my current camera and first full frame DSLR (Canon 6D). I’ve been creating paid photo work (weddings, couples sessions, Instagram campaigns and image licensing) for right around one year now. Q. What camera gear do you use? Q. Canon vs. Nikon vs. Sony? A. I get asked this question a lot, in various forms. It’s a highly opinion based topic and each camera has its strengths and weaknesses so I won’t go into detail on this one. I personally shoot Canon. In an ideal world I would have a Canon 5DMIV for most of my portrait and lifestyle work and any scenario when I need trustworthy weather sealing. I would also have the Sony A7riii for anything that I need extreme detail, for low light performance and for longer hikes. I’d also have the Lumix GH5 for video production use, and I would use it alongside the Canon G7x for the vlogs that I’m intending to start by the end of 2018 (spoiler alert, ooops). Now the world is not ideal, so I’ll briefly touch on what I think is the best option for a starting camera. When it comes to entry-level cameras, in my opinion, Sony wins without question. If you like the size and feel of Sony camera, I HIGHLY recommend getting an a6000 series camera to start. They have the best sensors of any entry-level camera I’ve used, bar none. Q. Favorite lenses for landscapes, portraits, low light, etc? A. I can honestly say that one of my all time favorite lenses is the 24-70mm 2.8. I use it for all my portrait work, client work, and most of my landscapes. If I were to break it down though… I’d say the 16-35mm 2.8 for Lowlight, 24-70mm 2.8 + 35mm 1.4 for portraits, and for landscapes… any “holy trinity” you can create with your budget, ie something along the lines of a 10-24mm (16-35mm 2.8 was what I used), 24-70mm 2.8 (LOVE this lens!) and of course, 70-200mm f/4 or f/2.8 (NEED this lens). Q. How did you learn to edit photos? A. The short answer is… trial and error. The long answer is… even more trial and error. All jokes aside, I started out by purchasing a student copy of Lightroom 5 back when I had my very first DSLR. I was still shooting in JPEG at this point, didn’t have a single clue what I was doing but I started to establish a familiarity with the program. The very first thing I did was explore every panel; mess around with all the sliders and in between read A LOT on Google and watched a lot of Youtube Tutorials. I began to pick up more over the first year and a big part of this was by meeting with other photographers and asking a TON of questions. Learning in person is way better because whomever is teaching you can actually show you rather than trying to describe a concept that may very well be foreign to you. I played around with filters in various editing apps on my phone and tried to recreate the results in Lightoorm, deconstructed a few presets, including a set of VSCO presets a friend gifted me and continued to adjust my style. I think the most important thing I did while learning to edit, and this is not to say that I’m done learning- far from it, was never let myself get stuck. I’ve entirely thrown out my editing style, twice, and even now am continuously making micro adjustments to my edits and presets as I learn more from various sources. Q. How can one progress out of auto mode into manual mode shooting? A. This question is another that could easily be an entire blog post. I also think that I would be hard pressed to write a better guide than those that already exist. Here’s one that I think does a pretty good job (Link). The key is to experiment with how your camera works, take a few tips from a guide and go out and practice them so you can see first hand how the different settings effect your final image. As you get more comfortable with each individual setting, you’ll begin to understand how they all work together to create the final image and how you can make small adjustments to each setting while on the go to get the desired result and images that are overall better exposed and easier to edit. Q. What is your editing workflow? A. I like to stay as organized as possible while editing new shoots, so the first thing I do is create a folder on my external drive with the shoot title (or location) and the date and then I create three 2-3 subfolders. I always have a folder for my RAW image files and my edits. If I’ve done a really quick shoot, got what I needed and I know I really won’t have to spend a lot of time making selects in Lightroom, I’ll leave it at that and import my RAWs into Lightroom. If I have a much larger shoot, or have shot at a few locations throughout the day, I’ll use Photo Mechanic, which is a photo culling software I found out about via Mango Street Labs. Once I have made my selects within photo mechanic, I’ll move them to my selects folder on my external drive and import only those photos into Lightroom. Q. Is photography your job? A. It is for all intents and purposes, my job. It is one of the most rewarding and at the same time challenging jobs I have ever taken on. I’m going to go into this further in a few of the upcoming weekly blogs (will add links to this blog once they go live). Q. How did you learn to make money with photography? A. That’s a tough one. I’m still learning and it’s all been through trial and error, and a lot of self-evaluation. I’ve had to determine the value of my time, skill level, social reach when it comes to social campaigns, and the value a photo will bring to the client (based off the extent of usage) when it comes to image licensing. The moment I learned how to make $$$ with photography was actually the moment I learned how to market myself, how to go up to someone at a local business, email, or call them and pitch to that person how my work and my creative ideas would be worth investing in. Q. How do you sustain yourself physically, mentally, financially and emotionally for 365 days a year? A. I feel like this is an excellent topic to write an entire blog on, but the short and bittersweet of it is… I don’t. ha. The reality is that it’s almost impossible to sustain all of those elements of life to one’s fullest capacity, every single day. There will always be one part of life on the back burner while you prioritize other parts. There are a few things that have kept me somewhat sane throughout it all, the three main ones are: staying organized and making a check list of day to day tasks, finding as many little moments throughout the day that are fulfilling even if the overall day’s outcome is frustrating and the one I find most important is being okay… with not being okay. That's all the questions and answers for now! I really hope you enjoyed, learned a litte something or found something you could pass onto a friend who's learning. This is definitely a blog I will be updating and adding new questions to over the coming months, so keep an eye out for updates! Would love to get your feedback on this one, as well as any suggestions for next weeks topic, if you drop a comment below with your ig @tag I'll come show some love on your account. I'm still working out the kinks in the writing portion of blogging more consistently for 2018 and I think this is a perfect blog to talk a bit about that. To say I'm a worrier, an over thinker, someone who obsesses over what needs to be done and what "might happen," is probably an understatement. I've struggled a lot with allowing myself to not be okay, to realize what that might mean for me and then to figure out how to deal with it and move forward. I'm committing myself to a task for this year that has two parts. I don't like the concept of resolutions, as I feel they are a little bit of a joke at this point. I'm going to take on this task day by day, bit by bit until I work out all the kinks and am satisfied. I'm going to be okay with each day's progress and be okay with not being okay. Part one is definitely a refresh. Refreshing my mind, workflow, creative space and to put it plain and simple-- getting out more to refresh my being. This will likely result in the first few of my blogs coming into the new year being a bit of a brain dump, so bear with me. The second part, is being okay with not being okay. That means allowing myself to create something, critique myself, and not let that critique stop me from continuing to create but rather process it, break it down and use it as fuel to create something new. Part three is a bit of a bonus and just includes getting out for days like this, spending time with the family I hold so dear, connecting with new people, finding new places and just... BEING. I'm excited to continue sharing my thought process with you guys as I figure this all out and if you're going through something similar, I'm always open to connect! Thank you all for the support, drop a comment with your IG @tag, I'd love to check out your accounts and get to know you a bit more! 1.) What would you like to see Bailey and I work on? Portraits and creative works wise in 2018? 2.) Where should I travel in 2018? 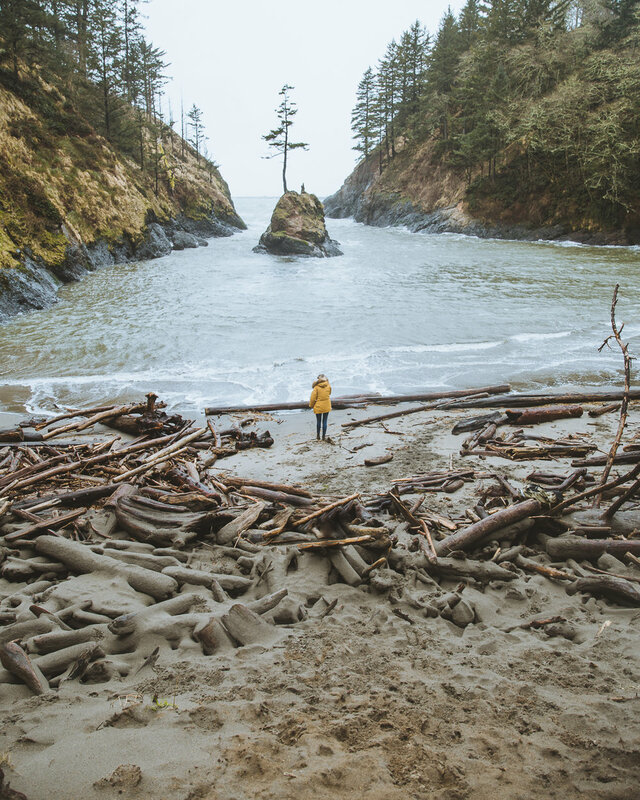 I'm already making lists of spots I want to revisit in Oregon and Washington, as well as spots I haven't visited in Oregon, Washington and California but I'd love to hear other spots you'd like to see me photograph! I'd also love your feedback on this set, drop a comment below and I will check out your account! Thanks for the support, more to come soon! the past few weeks have been a rush, we lucked out having a ranger at this fire watchtower who allowed us to explore inside. he also had some of the best smelling tacos ever. here's a few of my favorite moments! i finally finished this set, hope you enjoy! 9:00am we arrived at the caves. we were early so only the first of the three rays was starting to show. we made one-eyed-jacks on a cook top while we waited for the sun to rise higher in the sky. sidenote: it was probably one of the best camp meals i’ve had to date. i don’t think i’ll ever be able to put into words the sight of these rays, but i hope this image set will do it justice! let me know what you think! have you ever been to cave like these?